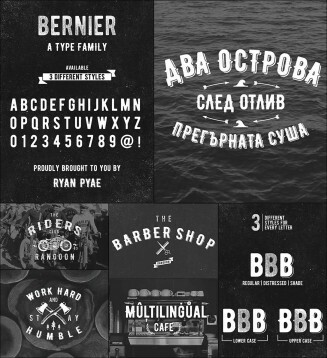 Introducind new font – Bernier , that is applicable for any type of graphic design. It is perfect for vintage badge, old school style typography, and logotype. Roman and Cyrillic typefaces. 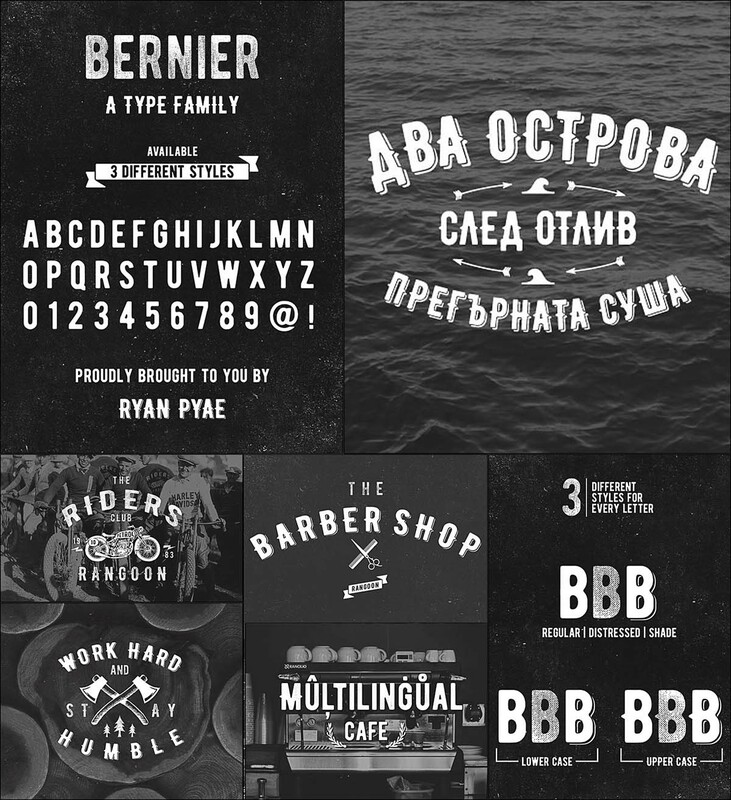 Tags: bernier, cyrillic, font, logo, logotype, old school, print, retro, retro style, roman, typeface, vintage.